Only a narrow channel separates the small islands of St Kitts and Nevis, that's probably why they've been twinned as far as governance is concerned. But they're actually quite different. 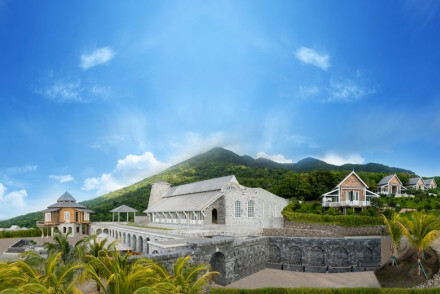 St. Kitts is the larger and more mountainous and has a few bustling centres, but overall a laid-back Caribbean air. While tiny Nevis feels more gentle and historic, populated by charming old plantation houses, many of which have been converted into some of the best places to stay in St Kitts and Nevis. There are also some beachfront hotels, but these two islands are less developed than their beauty warrants. St Kitts' capital is busy Basseterre, which sounds French and looks Victorian. This is where the cruise ships dock and there is a compact centre around the port. Part of Basseterre's bustle comes from the soca music blasting from local cars and buses, and part is the sheer numbers of visitors who come in on a busy day. Many cruise ship visitors head to the mountainous north to see the impressive 17th Century Brimstone Hill Fortress, now Heritage Listed, as a reminder of the violent and tumultuous history of the sugar and slave trades in the Caribbean. This is also where you will find the fading grandeur of the plantations and the ghost villages of the sugar workers. Visitors looking for beaches should head south where you'll find the best stretches of sand and the liveliest beach bars. If you're looking for peace, then Nevis is probably a better match for you. The history is just as dramatic and possibly even more carefully preserved, and the unhurried atmosphere feels more like the Caribbean of yesteryear. The beautiful beaches are relatively uncrowded and behind is the bougainvillea and hibiscus that are home to the island's wonderful hummingbird population. The island's peak, Mt. Nevis, makes a nice little challenge for walkers or cyclists, this island certainly suits those who like to get out and do things in the great outdoors. Our pick of the best places to stay in St Kitts and Nevis are well placed to make the most of these islands whether you've come for the beach, the history, the watersports and diving/snorkelling or a combination of all the above. Spend a day hiking to the top of Mt. Nevis and enjoy the stunning views from the top. Explore under the sea and spot exotic fish and bright coral reefs on a snorkelling or diving expedition. Unwind on the perfect swathes of powder white sand beach. Visit the enormous Brimstone Hill Fortress now housing a fascinating museum documenting a soldiers life during the 18th-century. Spot green vervet monkeys and numerous tropical birds on a rainforest hike. 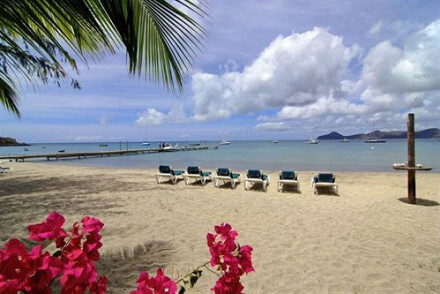 The Timothy Beach Resort, St Kitts, is a friendly 60 room hotel right beside one of the island's best beaches. Rooms have all the mod. cons., plus some have a balcony and sea views. The grounds and pool are lovely and there's a good restaurant. All that starts from just £80 per night. The Banyan Tree B&B on Nevis is a beautifully renovated 17th Century stone house now offering three comfortable and charming B&B style rooms. You're not far from the beach, but you're also close to the walking opportunities of the mountains. The Hermitage Inn is an iconic manor house on stilts in a stunning plantation which offers accommodation in rooms or cottages - both options very chic. The restaurant has a good reputation and you're not far from the beach. They also combine rooms to easily accommodate families. Rooms start from only £111 per night. Oualie Beach on Nevis, is a collection of large, cottage-style rooms sitting right against the sand of Oualie Bay. As well as comfortable, creamy decor, there's an excellent spa, beach restaurant and bike hire. Ottley's Plantation Inn on St Kitts is a super stylish, slightly old fashioned, colonial plantation with sea views and lush surroundings. Most of the 23 rooms have balconies. There's a well known restaurant, a large spring fed pool and top of the range spa. 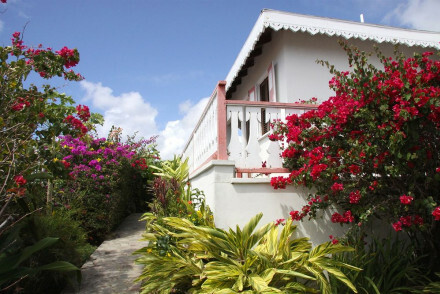 Rock Haven is a charming little B&B, this time on St, Kitts. There are just two rooms, both with kitchenettes, plenty of living space and plenty of breakfast served on a patio with gorgeous sea views. 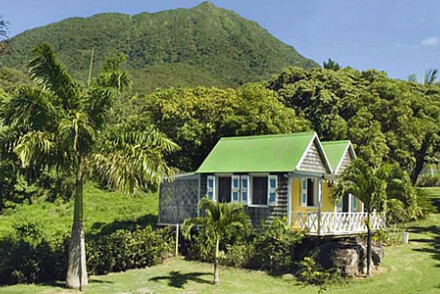 Nevis's Golden Rock is a secluded gem nestled into a lush, tropical hillside and offering stunning views from boutique style stone cottages surrounded by humming birds. Definitely one of the best places to stay in St Kitts and Nevis if you're looking for a getaway-from-it-all, back to nature type holiday. 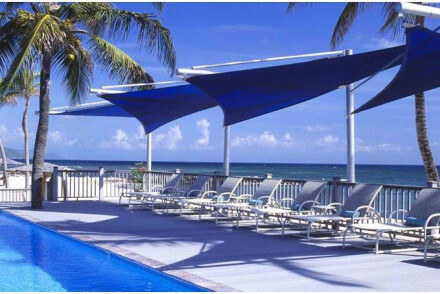 The Nisbet Plantation Inn is a stunning hotel set in 36 acres of coconut plantation and surrounded by white sands. Beautiful rooms and suites are painted in muted pastels with private balconies and all the mod cons. 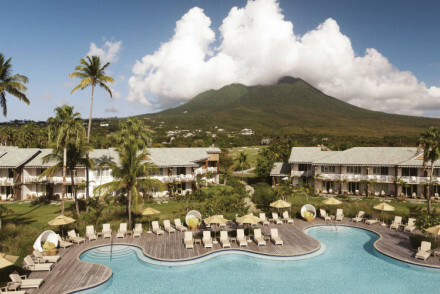 Four Seasons on Nevis is a five star hotel with unrivalled facilities and contemporary chic style. As well as all you'd expect from a larger resort, the Four Seasons also has a golf course, lively bars and a spectacular infinity pool. The Montpelier Plantation Inn is a sophisticated plantation conversion with 19 rooms, three fine dining restaurants and stunning grounds - set on a beautiful, tropical hillside. They also have a hotel boat. 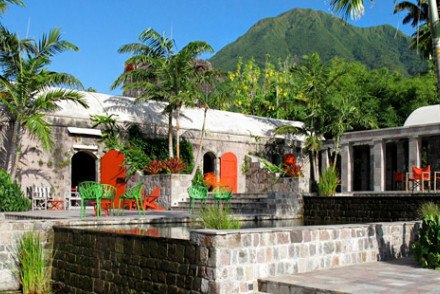 Belle Mont Farm, St Kitts is a stunning eco-resort with accommodation in a choice of guesthouses, farmhouses and villas. Guests should expect to be looked after in every imaginable way, including with freshly picked organic produce, in a 100ft infinity pool, an open air spa or on the hotel golf course. Fly to either Robert L. Bradshaw International Airport or the Vance W. Amory International Airport. Best time to visit - the high season on St Kitts and Nevis runs from mid-December to April when the weather is at its best. Hurricanes and tropical storms are most likely in September and October, but the rainy season runs from June to November. 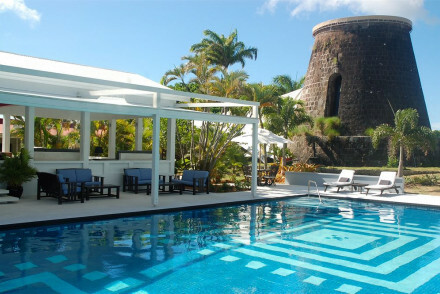 Browse through our list of all the best places to stay in St Kitts and Nevis. Alternatively widen the net, and check out all our Caribbean recommendations. A good choice for a family or those on a budget. The hotel sits on St Kitts' most popular Caribbean beach. Charming rooms have balconies, all the mod cons, and sea views. Lovely pool and grounds, and a good restaurant. Close to lively nightlife. Simple with a relaxed atmosphere. A charmingly renovated 17th century stone house with a beautiful garden filled with wildlife. 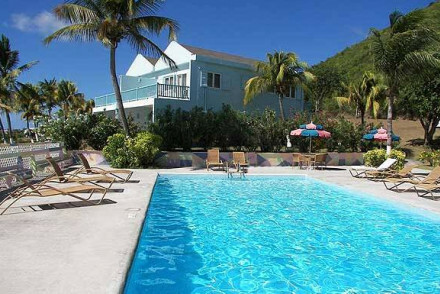 Not far from Nevis mountain, eight surrounding beaches, and plenty of hiking trails. Just three bedrooms filled with antique furniture, private balconies, and views out to sea and towards mountains. Views - Serene mountain and seaviews from a distance. A charming little B&B with just two large rooms. Both rooms in pastel colours with spacious living areas and small kitchenettes. Excellent breakfasts, sea views, and lovely patio. Very close to the beach and all the sporting attractions. Ideal for a laid back, understated holiday. Sights nearby - Basseterre Cruise Port. A real gem nestled in a secluded tropical hillside setting. A collection of stone cottages surrounded by humming birds, and that's about it. Boutique rooms all with private verandahs, pool, stunning views into the distance, and an excellent restaurant. Very harmonious. Total relaxation - Complete peace and tranquility in a jungly setting. An iconic collection of rooms, cottages, and a manor house on a stunning plantation. Very boutique, very chic throughout. Each room has all the mod cons and verandahs. Beautiful grounds, swimming pool, and a renowned restaurant. Not far from the beach, luxurious, family friendly. Families - The manor house has three double bedrooms which you can book out as a family or group. A Five Star hotel with unrivalled facilities and luxury in a league of its own. Beautiful rooms and suites, contemporary chic in style with all the mod cons. Fabulous restaurants, golf course, infinity pools, spa, beach cabanas, tennis courts, and lively bars. Romantic, buzzing, top of the range. Beach Life - You can rent a luxury beach-style cabana for the day. Spa breaks - Spectacular spa facilities and complex. Swimming Pool - Three beautiful infinity pools. Foodies - Fabulous Caribbean cuisine. 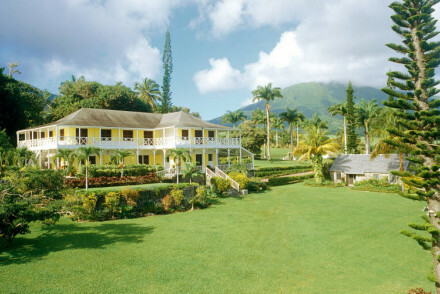 A charming hotel in Oualie Bay, Nevis with direct access to the beach. Large cottage-style rooms with four poster beds, creamy furnishings, and private balconies. Excellent spa and therapeutic treatments, beach restaurant, and bikes to hire. Family friendly and excellent value. 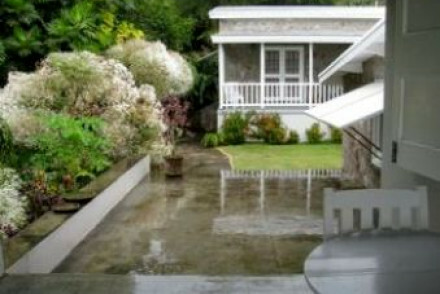 A superbly stylish colonial plantation with sea views and verdant surroundings. Slightly old-fashioned, but chic, rooms have balconies and views. Large swimming pool, top of the range spa, and Caribbean restaurant. Iconic, family friendly, and sophisticated. Views - A stunning setting with sea views and plenty of greenery. A fabulous hotel on a plantation. Sophisticated rooms and suites with four poster beds and all the mod cons. Three fine dining restaurants, charming spa, stunning grounds and pool. A tropical hillside setting and an iconic Caribbean atmosphere. Romantic and luxurious. A stunning hotel set in 36 acres of coconut plantation and surrounded by white sands. Beautiful rooms and suites, painted in muted pastels with private balconies and all the mod cons. Fabulous Coconuts restaurant, cottage-style spa, tennis courts, and a lively bar. Dreamy. Garden - Stunning grounds, 30 acres of them, dotted with coconut trees. Foodies - Fabulous Caribbean cuisine of lobster, seafood and fruit. Spa breaks - Cottage-style spa. Stunning all inclusive eco resort with guesthouses, farmhouses, & villas (which sleep 4). Boutique and eco friendly in every way. Set on an organic farm with stunning views, a golf course, fabulous fresh produce, a 100ft infinity pool, and open-air spa treatments amongst the mango groves. Superb. Families - Between four and eight couples can each be accommodated in their own private Guesthouse. Outstanding location - Surrounded by the lush beauty of the forest and the azure waters of the Caribbean. Spa - The Mango Walk Spa includes Natural pools and open-air treatments. Eco - The hotel is completely sustainable.